Published in: Schmitz, F. (1894). Kleinere Beiträge zur Kenntniss der Florideen. Nuova Notarisia 5: 608-635. 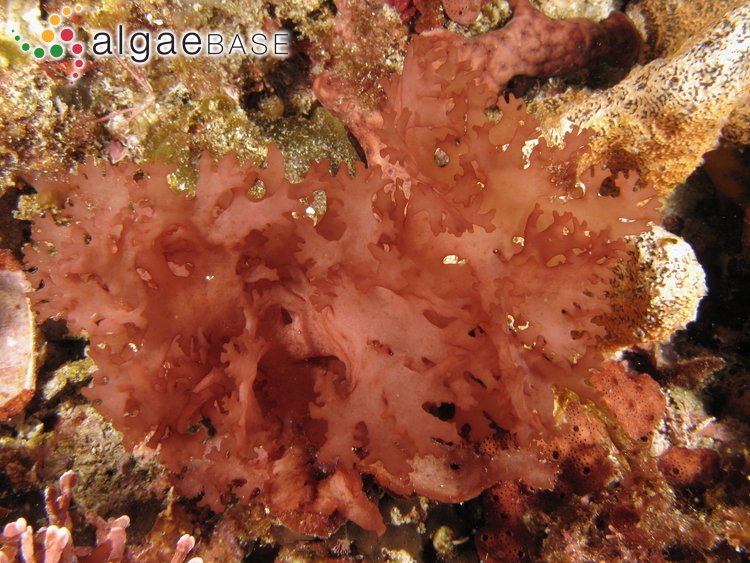 This is the type species (holotype) of the genus Platoma. 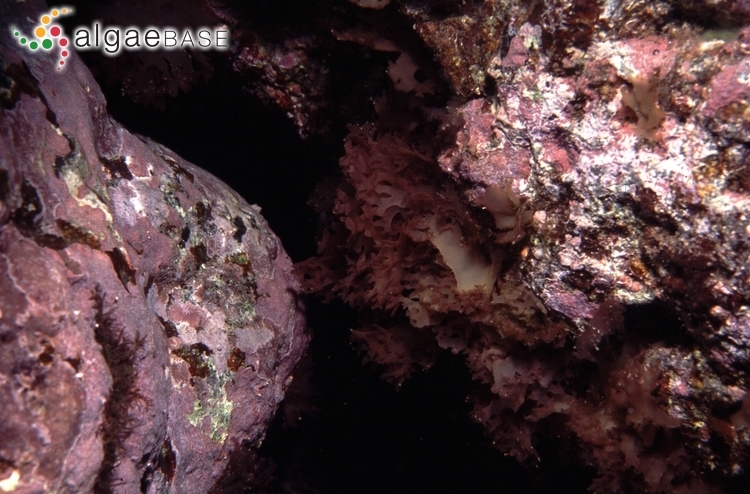 Type locality: Tenerife, Islas Canarias (Montagne 1841: 163). Lectotype: PC (Masuda & Guiry 1995: figs 19-21). Notes: ALGU-10208 (Berecibar et al. 2009: 223). The following is from Taxon vol. 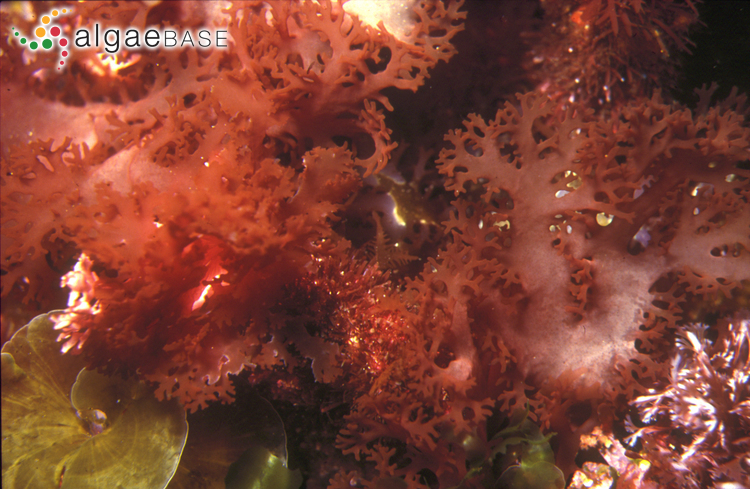 52, p. 340: "(1469) Conserve the name Platoma (Rhodophyta) as being of neuter gender (proposed by A. Athanasiadis in Taxon 49: 809. 2000). Votes 12 : 0 : 2 (recommended). The author of the proposal convincingly shows that in current literature Platoma has been given both feminine and neuter genders. The Committee agrees that a definite choice of the gender should be made by conservation and therefore recommends that the name Platoma be conserved as being of neuter gender. However we cannot accept the change of authorship proposed by the author since we can see nothing like an indirect reference (even cryptic) to Nemastoma sect. Platoma J. Agardh in F. Schmitz 1889. Therefore the Committee recommends conservation of Platoma as being of neuter gender, with its ING authorship: Platoma Schousb. ex F. Schmitz in Nuova Notarisia 5: 627. Apr 1894." Berecibar, E., Wynne, M.J., Bárbara, I. & Santos, R. (2009). 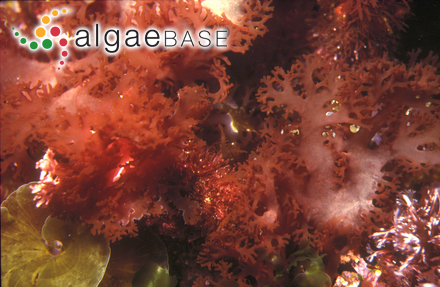 Records of Rhodophyta new to the flora of the Iberian Atlantic coast. Botanica Marina 52(3): 217-228, 26 figs. Zuccarello, G.C. & West, J.A. (2010). 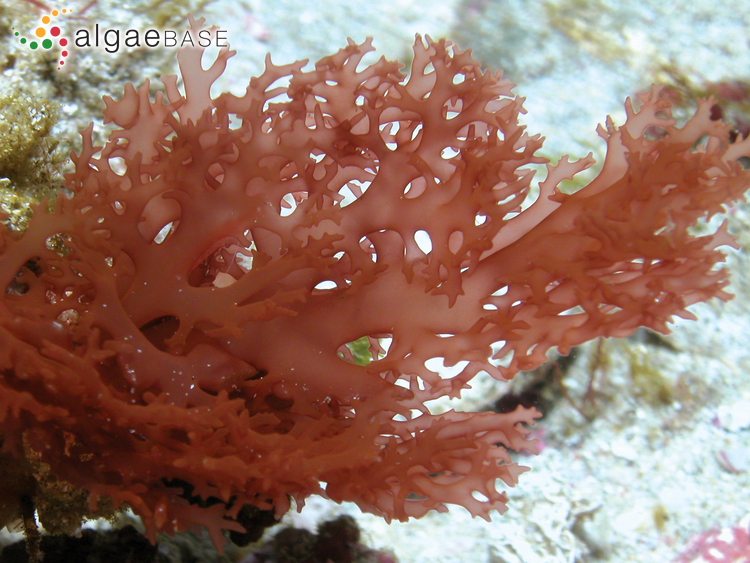 Does the life cycle of Platoma cyclocolpum have three alternate free-living diploid phases?. Phycologia 49(3): 301-302. Accesses: This record has been accessed by users 3962 times since it was created.